Yoo’s “torture memo“ was part of a Bush administration conspiracy to violate the federal torture act. Torture is a crime, a violation of the Federal Torture Act. Those who engaged in the torture documented in such exhaustive detail in the Senate Intelligence Committee’s torture report should be prosecuted, and those who conspired in that torture should also be prosecuted. They include UC Berkeley law professor John Yoo, says Erwin Chemerinsky, Dean of the Law School at the University of California Irvine. 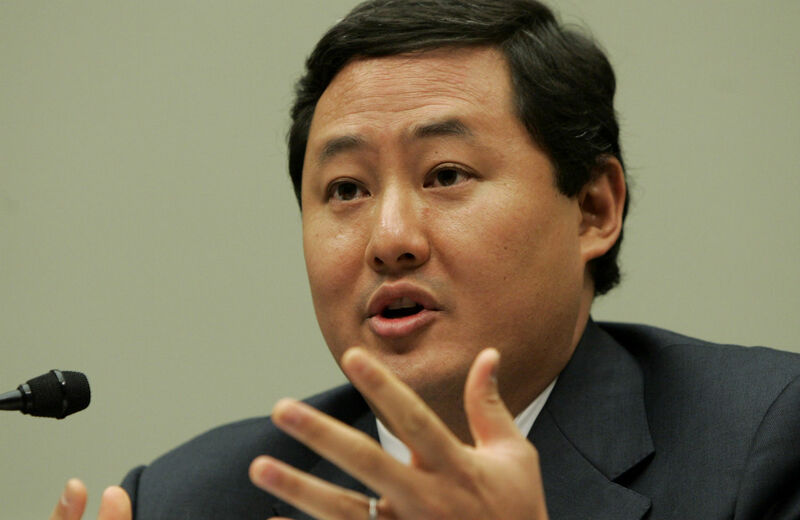 Most important for the case of John Yoo, the Federal Torture Act specifically includes conspiracy, stating that “a person who conspires to commit an offense under this section shall be subject to the same penalties…as the penalties prescribed for the offense.” That means Yoo could be sentenced to up to twenty years in prison if found guilty. Chemerinsky, an authority on constitutional law who has argued cases before the Supreme Court, is the founding dean of the law school at UC Irvine, a sister campus of Berkeley in the University of California System. He is the author of hundreds of law review articles and eight books, including most recently The Case Against the Supreme Court. Yoo defended his work on torture in an op-ed published by the New York Daily News. “In 2002,” he wrote, “I believed that the federal law prohibiting torture allowed the CIA to use interrogation methods that did not cause injury—including, in extraordinary cases, waterboarding—because of the grave threat to the nation’s security in the months after the 9/11 attacks.” He added that he was “swayed by the fact” that he believed “the CIA would use the technique only on top Al Qaeda leaders thought to have actionable information on pending plots.” He said the Senate report was wrong in its conclusion that torture was ineffective in exposing plots, citing CIA head John Brennan’s statements to that effect. Chemerinsky’s argument is that Yoo has committed a criminal act—conspiracy to torture—and that he should be put on trial for it.